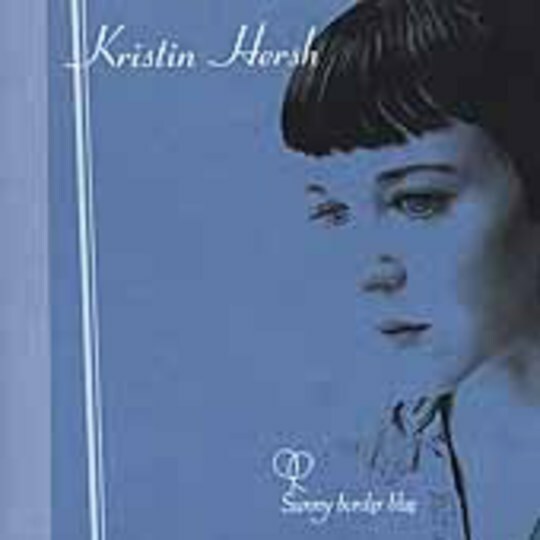 Singing songs about mania and disorientation across three decades, ex-Throwing Muse Kristin Hersh was being dubbed the ‘crazy woman of rock’ back when Alanis was still in kindergarten and Courtney in crappy Alex Cox movies. This, her fourth album on her lonesome, is pretty much business as usual: delicate acoustic guitar vies with awkward time changes and Kristin’s odd non sequiturs - sort of, well, a cross between everything the Muses have ever done and the rest of her solo stuff. But there’s not really anything quite as striking; nothing as gorgeously heartbreaking as ‘Your Ghost’ or ‘Delicate Cutters’, nothing as blockrockingly ace as ‘Big Yellow Gun’ or ‘A Cleaner Light’. Strange then that the best track on ‘Sunny Border Blue’ is actually a cover version of ‘Trouble’ – no, not that one, stupid, but the old Cat Stevens song (ask your dad). Hersh manages to pour poignant yet spirited life into it; the way she tackles lines like ‘Oh trouble set me free….I have seen your face and it’s too much, too much for me’ sounds very much like a woman fighting yet simultaneously at ease with her personal demons. So - it must be true what they say; the devil really does have all the best tunes….